In the wild, these beautiful, fast-growing North American natives thrive in wetlands by spreading via underground stolons and creating dense thickets. They can grow from 3 to 12 feet tall with a similar spread. Their dark-red branches provide a stunning aesthetic contrast with snowy landscapes in wintertime. 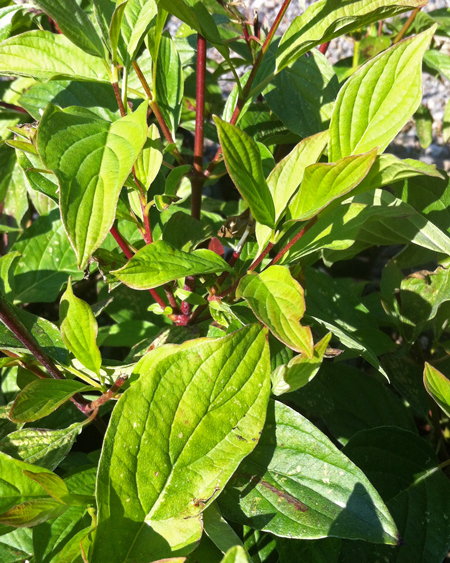 Leaves are opposite, 5 to 12 cm long and green, turning to a deep reddish purple in fall. The small white flowers emerge in clusters, and these flowers produce small, white globose drupes. 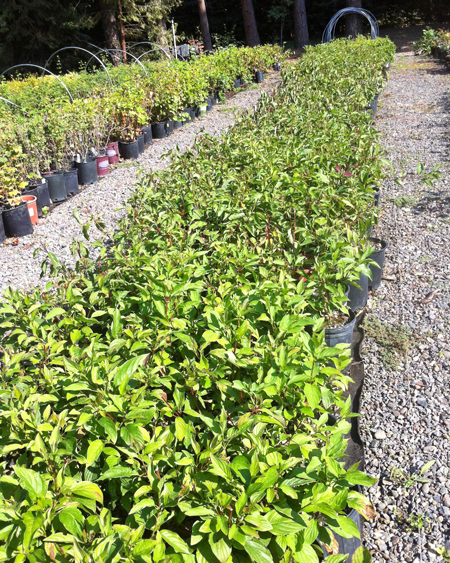 These wonderful shrubs are extremely adaptable to a wide range of soil and climatic conditions. They prefer rich, moist, poorly drained soils with high levels of mineral nutrients and full sun to part shade. They are extremely useful for ecological remediation, and because of their rooting patterns, they are highly prized for use in the remediation of waterway bank erosion, soil stabilization, as well as for residential landscape plantings and mass plantings along highway banks, parks, and golf courses.